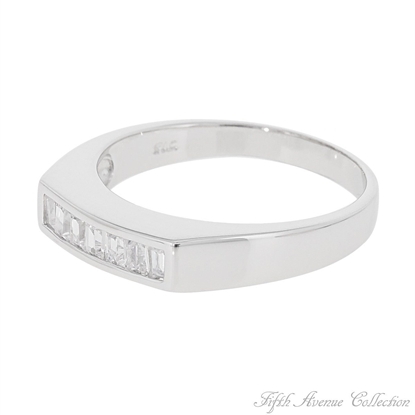 Delicate in detail but eloquent in its effect, with old fashioned flair established by its romantic design that speaks the charisma and brilliance of a beautiful marquis cut cubic zirconia –– centered on its splendid band of sparkling clears.Sizes 5 - 12Nickel and lead free. 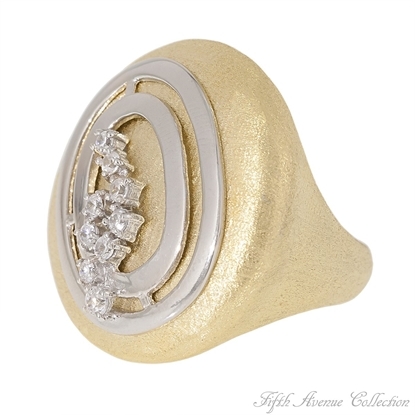 How does one describe this daunting sterling silver ring brushed with gold and sprinkled with sparkling AAA cubic zirconia? 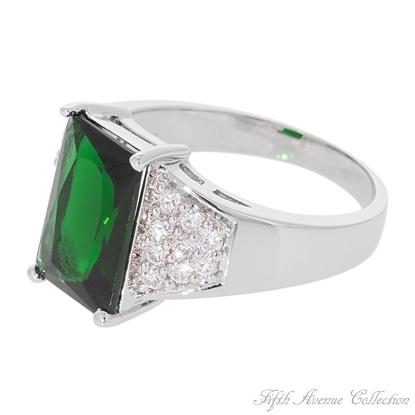 Fabulous!Nickel and lead free. 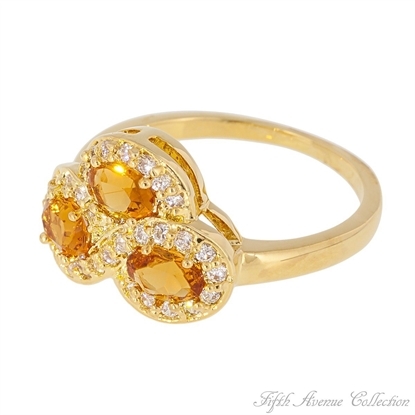 Dozens of brilliant triple A quality cubic zirconia dance in a circle finished in gleaming gold. 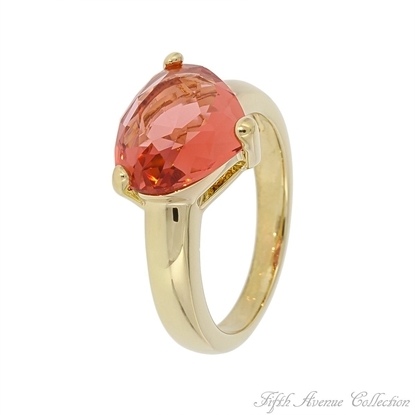 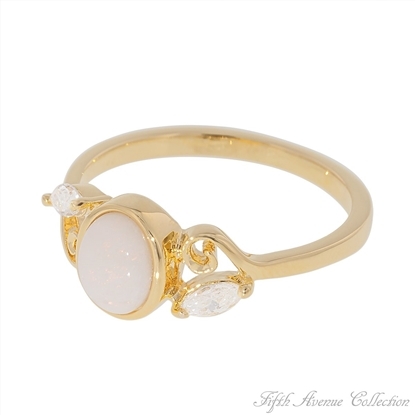 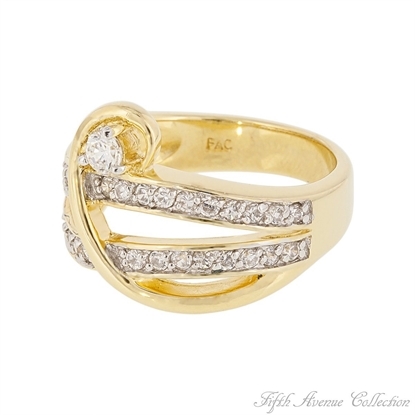 This beguiling ring makes the perfect gift for that special woman who was born in the month of April. 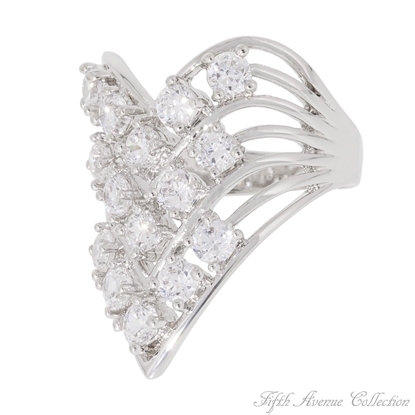 Bring on your bling and electrify the world of fashion wearing this compelling bit of sass. 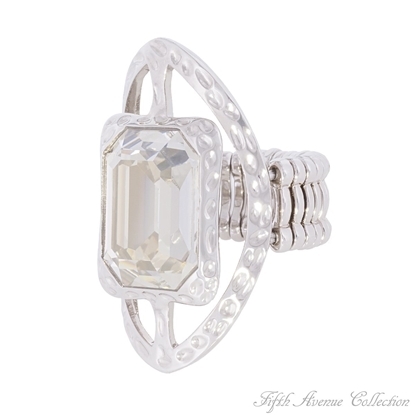 A dynamic setting of 33 brilliant cubic zirconia is boldly accented by daring links of glistening sterling silver finished with radiant rhodium. 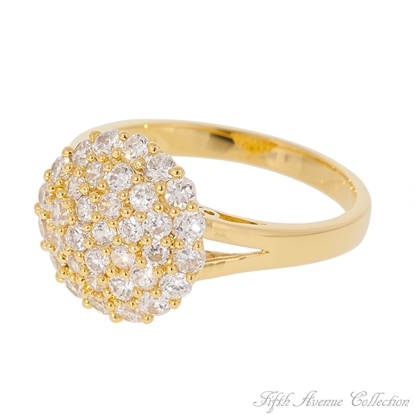 Don’t mess around with this fashion diva, she’s ready to “Bling It On!”. 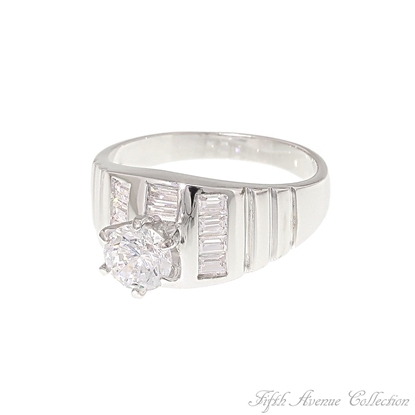 Three v-shaped rows of fifteen triple A quality cubic zirconia fuse together to create a ring that combines contemporary style and beauty. 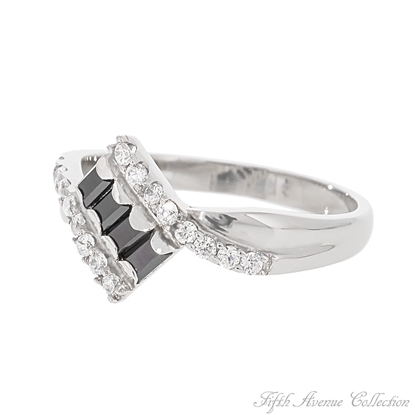 "Doin' it Right" - for the fashion savvy! 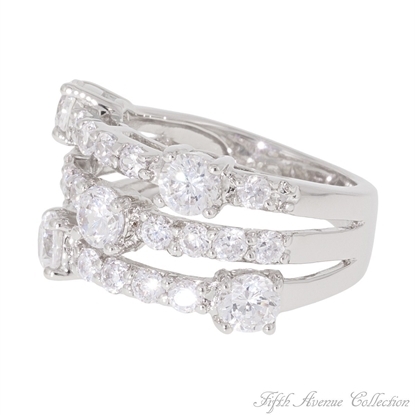 Available in sizes 5 & 11-13. 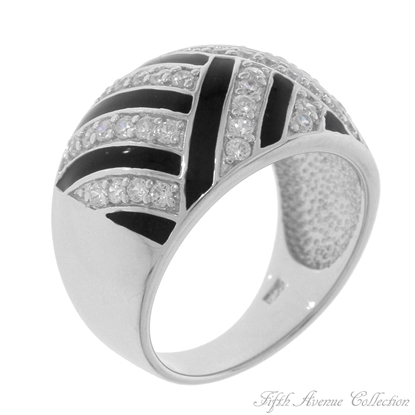 The sophistication of black and white is a staple in every woman’s wardrobe. 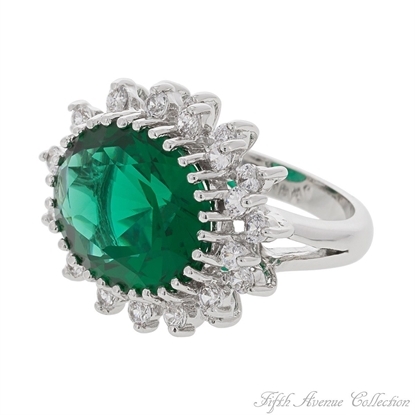 Now Fifth Avenue Collection has added to that sophistication with a beautiful sterling silver ring, designed with the striking beauty of hand painted enamel, teamed with rows of AAA cubic zirconia. 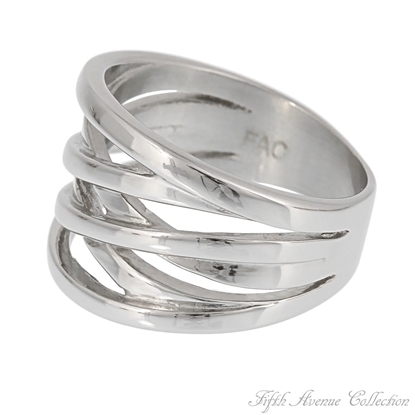 “Finger Food”… the epitome of style and good taste.Sizes 5 to 12Nickel and lead free. "Hands Up" ladies! 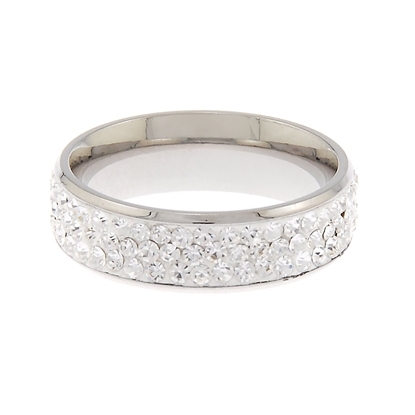 Make it easy for them to see this gorgeous stainless steel ring studded with Swarovski's clear crystals.Nickel and lead free. 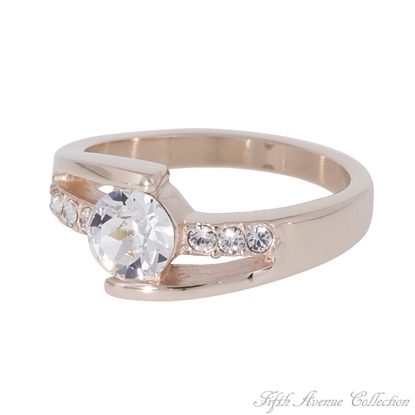 You'll "Have a Fling" cause this ring has swing! 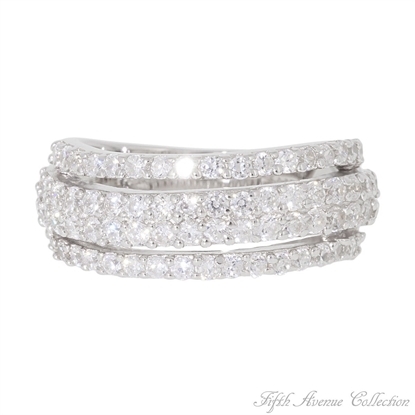 Two dazzling rows of triple A quality cubic zirconia hit a high note with the single beat of one sparkling clear round. 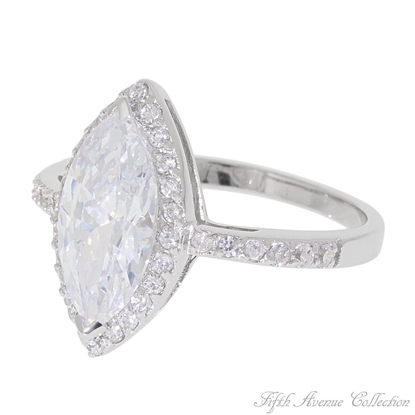 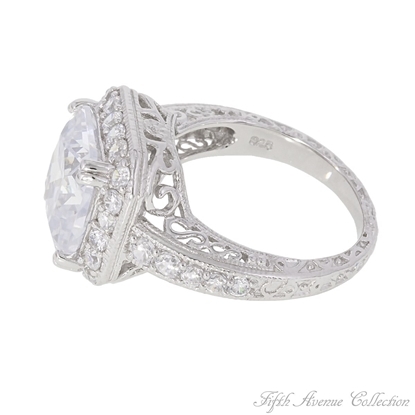 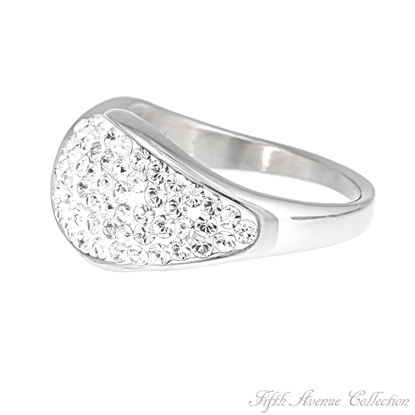 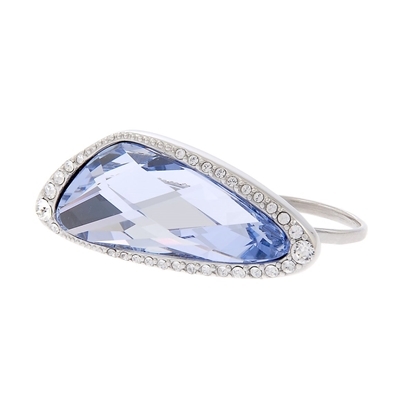 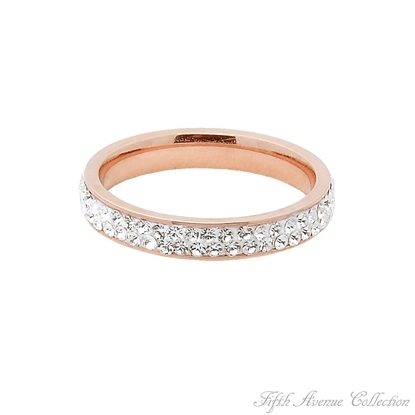 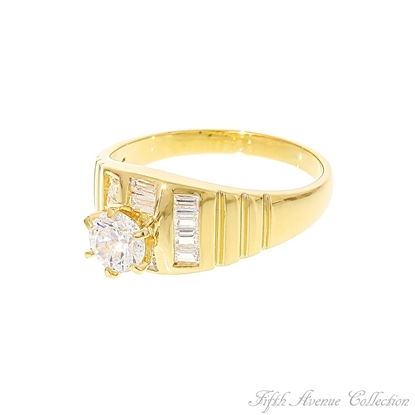 Set in sterling silver, this ring is delightful finished in your choice of gleaming gold or rich rhodium.